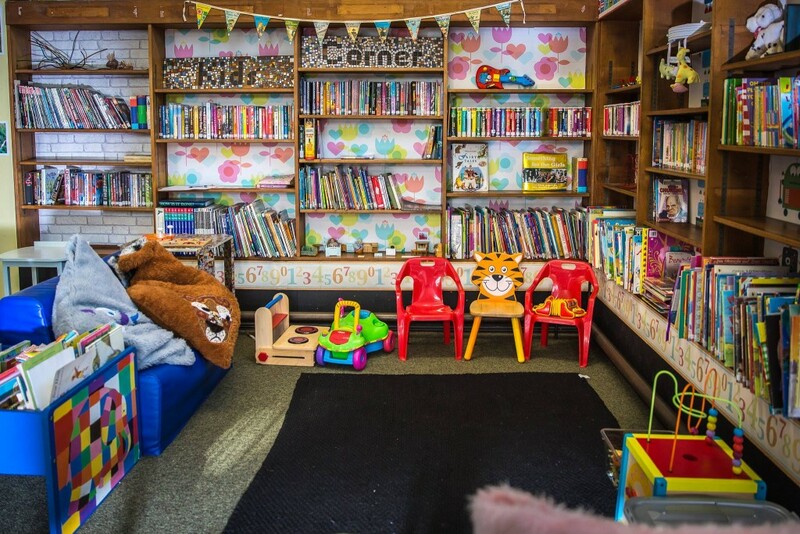 One of the most loved parts of the Old Library, our warm and cosy kids corner is full of toys, games, books and fun for all the kids to enjoy. We have tried to make this area as welcoming and exciting as possible, so that you can come along and enjoy a coffee whilst your children are entertained and can meet other children in the local area. Everything in this space has been donated and made with love, including our friendly animal cushions that have been beautifully crafted by our sewing & making team! We also have lots of books so why not snuggle down on the sofa, pick up a book and have storytime in our lounge – like home-from-home!